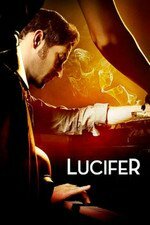 Chloe and Lucifer investigate when the bodies of two young L.A. transplants are found poisoned. Later, Maze organizes an epic girls' night out. DAMN IT I was excited to see the Maize/Detective roomie sitch and now it's gonna be all dramatic. Surely it won't be all dramatic - and we'll finally get another Maze/Trixie scene. And poor Dan being horrified by Maze being around Trixie. I don't understand why the divorce means that Chloe needs to move (honestly, I'd forgotten that they weren't already divorced until Dan brought it up), but it will be worth it for the comedic possibilities. Hee - The moment we were all Linda gifset. I really hope they move forward with the new roommate plan. It would be nice to see more interaction between the women in the show. I was disappointed,however, that Dr. Linda didn't get in a few shots of her own rather than taking cover under the bar.